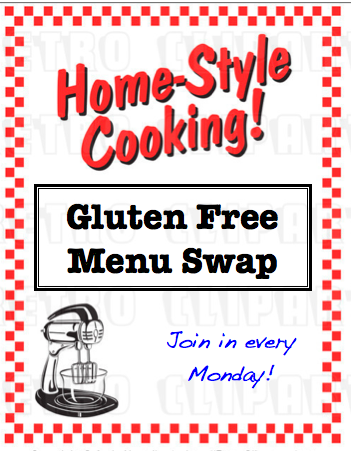 I’m so excited to be hosting the Gluten Free Menu Swap this week! The theme is “Back to School.” Are you ready? Yep, I know it is still summer time, but it is also time to start tucking a few things into the freezer each week so that when school rolls around you won’t be scrambling to fill the lunch box. 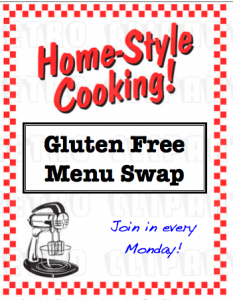 If you would like to host the Gluten Free Menu Swap, drop Cheryl a line at Gluten Free Goodness. She would love to hear from you! I like to spend a bit of time in August planning things to bake with my kids for their lunches and breakfasts. When school starts the transition is so much easier when we have a few things ready to go. All month I will be posting lunch packing tips and recipes my kids enjoy in their lunches. Below are some of the recipes we will be making during the month to get ready that you might also like to try. What do you put in your lunch box? Any of our favorite smoothies but made ahead and frozen in individual servings. Kind of up in the air about this meal… It will depend on my garden! Cheryl of Gluten Free Goodness isn’t ready to let go of summer yet (who can blame her!). She is eating a wonderful menu of Nightshade Stew with avocado, sauteed garlic and mache with white beans, baby green herb salad with salmon and Alta’s quinoa pizza. Yum! I think that pizza would be the perfect addition to my lunch box stash! 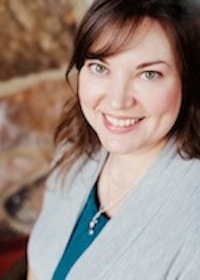 Heather of Celiac Family recommends Shredded Mexican Chicken for busy school nights. Y’all know I love a good slow cooker meal… Thanks, Heather! This week their menu is filled with chicken tacos (with the WORKS), salmon with balsamic glaze (swoon! ), taquitos, grilled steak, roasted chicken and build-your-own pizza, with one night out to eat. Delicious! Renee of Beyond Rice and Tofu doesn’t have to worry about the back to lunch thing, BUT she and her hubby do take lunch to work daily. She has a great list of lunch ideas. And apparently some new cookbooks that I must get (a book on all curries? LOVE!). On her menu this week is stir fry tofu and veggies in peanut sauce (I am also a sucker for peanut sauce. Yum! ), curry simmer sauce with chickpeas, quick summer pasta, cabbage and potatoes and peas. Sounds so good! 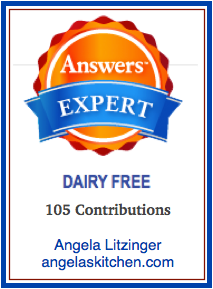 Angela, I'm always amazed at how busy your gang is! I LOVE the idea of mini pizzas, I loved those as a little kid. Your yogurt sounds yummy, too. Thanks for hosting! Thanks for hosting this week. Here's my menu link: http://celiacfamily.com/?p=5365 I love all the muffins ideas you've listed. I think I'm going to try several of them!